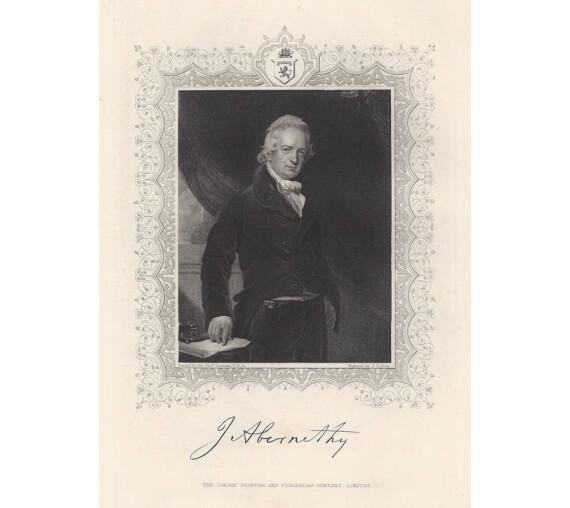 John Abernethy FRS (1764 - 1831) was an English surgeon. 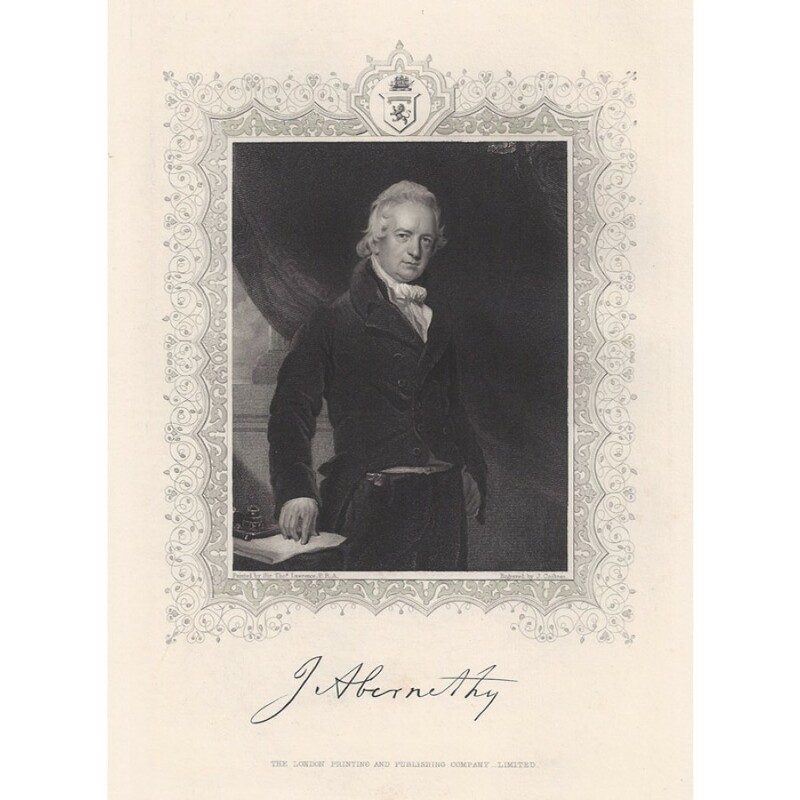 In 1815, he was elected principal surgeon to St Bartholomew's Hospital. 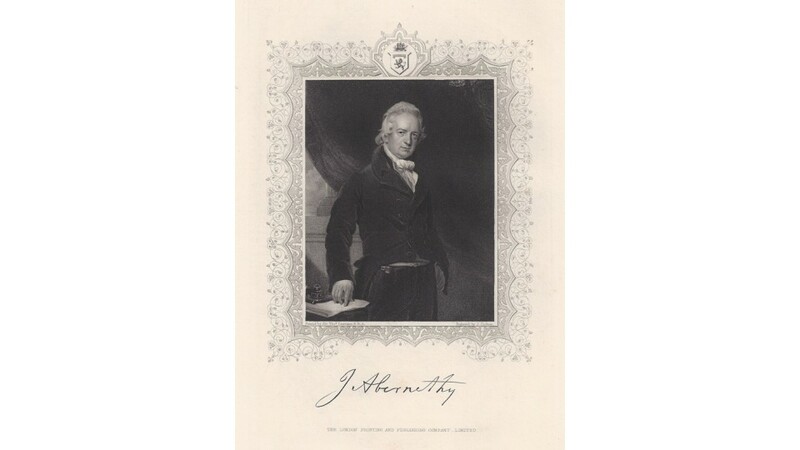 His Surgical Observations on the Constitutional Origin and Treatment of Local Diseases (1809) _ known as "My Book", was one of the earliest popular works on medical science.